The case, in 18kt white gold, measures 42mm x 11.9mm. It has a curved sapphire crystal and a sapphire display back. Crown adorned with an "M". Engraved on the movement side of the case with "1 of 50". Movement is the Swiss manual-wind H. Moser in-house caliber HMC 800 with 32 jewels, 18,000 vph and a power reserve of 7 days. It features a double barrel, an interchangeable Moser escapement, an Original Straumann Hairspring with stabilised Breguet overcoil. Pallet fork and escapement wheel made from gold. 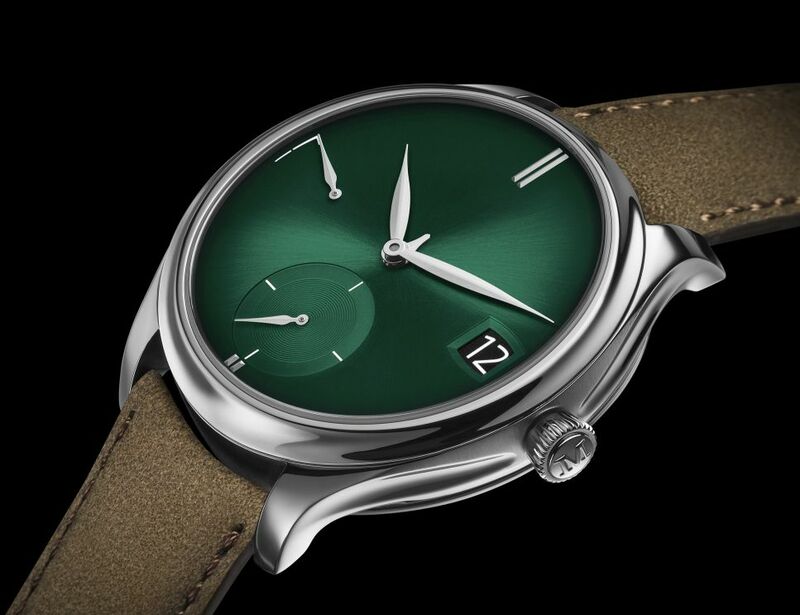 The movement and components are hand-finished and decorated. Functions are: hours and minutes, perpetual calendar with very large date window and month display via the small central hand. Offset seconds dial with hacking seconds function at 6 o'clock. Power reserve indicator on dial at 9 o'clock. Leap year cycle indicator on movement side and adjustment via push-buttons. 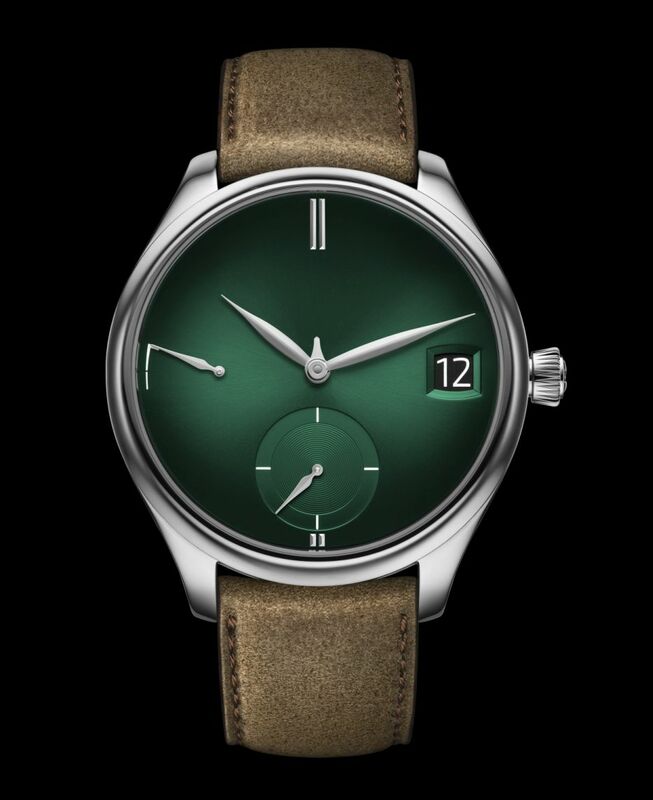 It has a Cosmic Green fumé dial with sunburst pattern. Leaf-shaped hands and applique indices. Month indicated with a small center hand. Big date display. It comes on a hand-stitched beige kudu leather strap with an 18kt white gold folding clasp engraved with the Moser logo.